Hansen Buildings will guide you in the design of your new pole building. Let’s pick out some colors. Get started forming a budget for your future building project. All prices shown do not include any optional items. 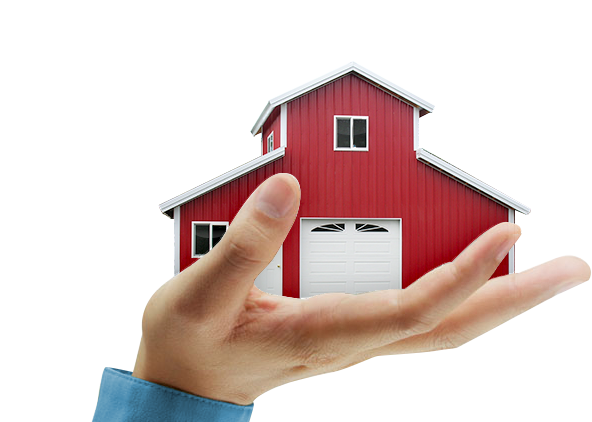 Experience the convenience and ease of working with Hansen Pole Buildings – offering residential, agricultural and commercial pole barn kits customized for your needs. Our pole building kits are designed to fit your specific plans, wishes and dreams. We guarantee the lowest priced kits with the same quality and features as competitors. Do you have a quote at a lower price for the same building? We will match the price. Step by step instructions in a fully illustrated manual and stamped engineered plans included. Unlimited building customizations – Change your design, style and colors as many times as you like. It’s truly been a great experience working with Wayde and everyone at Hansen. I appreciate all the help that I know others wouldn’t be so willing to provide without a big hassle…. Protect your equipment or animals in a custom designed pole barn package. We design custom farms, workshops and more. All of our buildings are designed with efficiency in mind – our barns provide you the building you need for everyday work and play. With years of experience one of our building designers can guide you through the design process. Affordable lighting options, large sliding doors and a variety of animal friendly products will make your next barn a success. Look into some of our decorative wainscot or cupola options to dress up your building. Make Hansen Pole Buildings your source for your next agricultural building kit. Our building kits may also be used for your next home, garage or storage building. Pole buildings offer the best value per square foot of residential framing methods. With endless design options we can make your wildest dreams a reality. Whether you want a new carport or a unique RV storage building, you are only limited by your budget and imagination. Hansen Pole Building kits are a great investment to protect your valuable toys. With the ability to offer wide pole spacing it allows you the flexibility to place overhead doors without the need for costly headers. High quality commercial entry doors will keep your garage secure but not affordable. Whatever your residential building needs, we can help you at Hansen Pole Buildings. Looking for a commercial pole building kit to be the solution for your next big business idea? Post frame buildings are commonly used for storage buildings, shops, airplane hangers and even office space. Open spaced, clearspan designs, may be the answer to your perfect building package. Our building kits can work for the smallest and largest of commercial building needs. With the ability to engineer plans for any state, getting through your permit process is easy with our various engineering options. For your next commercial building give Hansen Pole Buildings your design needs. Your search for convenient, attractive and durable structure has ended. Welcome to Hansen Pole Buildings – the largest source of pole building kits for your residential, commercial and agricultural needs. Receive your FREE building quote quickly by providing us with the information regarding your dream building or by calling (866) 200-9657 toll free, 24 hours a day, seven days a week, and providing us with your information. Most quotes are completed within 24 to 48 hours.